TMJ Sleep Therapy Centre of Auckland is part of an international group of dentists who have dedicated their practice to treating these disorders. We believe in providing treatment that allows the body to heal by itself, reducing the need for surgery and producing long-tem results. We offer this in a caring and safe environment. Pain can become a constant companion but it doesn’t have to be that way. By employing tried and tested treatments and the use of non-invasive techniques to heal the tissues, the pain can be reduced or eliminated. These techniques are always changing as newer ones are developed, but our central mission is conservative restoration of normal anatomy. We have a commitment to our patients that does not allow for compromise in quality and a dedication to finding a solution for their problem. This dedication and commitment leads to a high level of success with individual treatments for each and every patient. As you will see both from our name and that of our group, we are dentists around the world who have focused our practice on treating disorders of the jaw joint and its surrounding and supporting tissues; this is the (Temporomandibular Joint) TM Joint. Sleep is the other and related issue we treat. We are not a general dental practice, but rather care for those patients whom dentists refer to us specifically for these problems. These special centres are the result of Dr Steven Olmos. 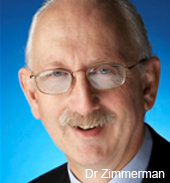 A pioneer in the treatment in TMJ, Craniofacial Pain and in Sleep disordered breathing. Dr Olmos has spent twenty years treating some very sick people with these problems. He has developed skills and passed them on to a select group of dentists. His techniques are non-invasive and designed to put the anatomy into its rightful place and allow it to function as it was designed to.